Dillian Whyte has warned Zimbabwe-born heavyweight boxer Dereck Chisora he will face a "different animal" tomorrow night and predicted a punishing defeat for his British rival in their rematch two years on from a brutal encounter. Whyte (30) landed a narrow points win over his British rival in 2016 but says he has drastically improved since. "I have been involved in battles," said Whyte. "It's a different man, my base is stronger, you will see." Chisora (34), who was born in Harare's high-density suburb of Mbare before he relocated to England to join his mum when he was 16, said the winner could face world champion Anthony Joshua next and claimed he would "pound" Whyte. "Eddie Hearn is dangling a carrot in front of me and Dillian — that's AJ," added Chisora. "Whatever plan Dillian's team have, ours is to bite the gum shield, seek and destroy." Whyte's trainer Mark Tibbs responded: "We will meet him, greet him and beat him to the punch. 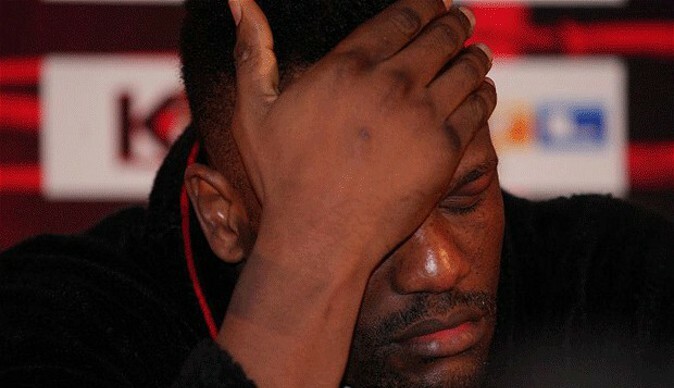 This man is ready for all of them but we will not overlook Chisora." In the final news conference before tomorrow's O2 Arena contest, the heavyweight fighters exchanged insults but there was no repeat of the chaos of 2016, when Chisora was fined for throwing a table at his rival. The fight that followed proved one of the most punishing in recent memory, prompting promoter Hearn to state: "They are both crazy. If they weren't, why on earth would you want to do it again?" Whyte added: "There's a different animal standing in front of him on Saturday, not an immature boy. I keep levelling up with every fight and there are levels to this thing." Whyte has four wins since their initial meeting, including a notable points success over former world champion Joseph Parker in July. His opponent's run of form prompted Chisora to tell Hearn he had not fought Whyte's corner adequately in securing him a world title shot. Chisora has sought a new lifestyle since an uninspiring defeat by Germany's Agit Kabayel 13 months ago, with a focus on religion and a shift to work under David Haye, who knocked him out when the pair met in 2012. "I think Dereck has always had in him what he needs to be one of the best on the planet," said former world heavyweight champion Haye. "He has had opportunities in the past and I don't think he has capitalised. Experience has told him he needs to make the sacrifices required. "I am confident. I have felt his presence and power in the ring. The intensity he has shown in training for me shows he is coming for war. He didn't have 12 rounds of war in him last time; he does for Saturday. "I am confident the heat being brought to Dillian will make him very uncomfortable."